After over sixty years and in his early nineties, British soldier Denis Avey broke his silence and found a way to tell the incredible tale of his experience as a POW in World War II. 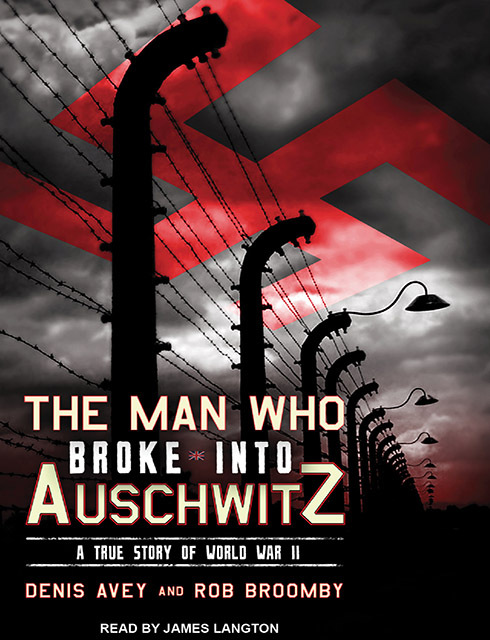 The Man Who Broke Into Auschwitz tells of a British soldier's courage to go-willingly-into a Jewish prisoner camp to give one man two days of freedom - and find out for himself the horrors that the prisoners were being subjected to. This is a very personal and important book, which must have been very hard for Denis Avey to write, even with the assistance of BBC journalist Rob Broomby. What I enjoy so much about the way this book is written is you not only get a feel for what Avey experienced while he was in the war - watching his friend get literally blown to smithereens, for one - but the loneliness and isolation he felt AFTERWARDS.We get the back story, the aftermath, that one so rarely gets to hear about; the long healing process and mental and physical toll the experience took on him as a soldier and as a person. He doesn't tell any of this in a self-pitying way. The writing is direct and finds humor in the most unlikely places. British narrator James Langton is really quite perfect for making this tale come to life. He strikes the balance between the lighter and darker moments of the book, yet giving it the overall solemn poignancy that the subject matter requires. What makes this such a great audiobook is because the content is so personal, having a compelling voice relating it and infusing it with the appropriate emotions for each passage gives the story an even deeper dimension. The book takes us through Avey's earliest days of the war fighting Italians in the desert, jumping off a ship to avoid being a POW, his tense flight as a fugitive in Greece, and his capture by the Nazis. Avey was taken to Poland and placed at the British POW labor camp, labeled E715, near Buna-Monowitz, more famously known as Auschwitz III. He recalls the chilling sign in front of his camp and others, reading "Arbeit Macht Frei", which translates as "Work Will Set You Free." Avey tells of his deeds switching uniforms with Jewish prisoner Hans and writing in code to another Jewish prisoner’s sister in England in order to send him cigarettes, which was the currency of the camps - a valuable asset that could prove the difference between survival and death. He tells all of this with a matter-of-fact attitude that neither pats himself on the back nor diminishes his heroic actions. 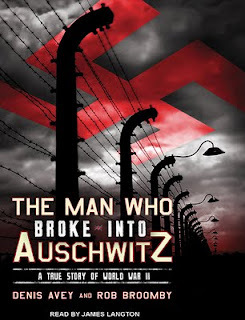 He unflinchingly relates the horrors of the camp and the war itself not with the intent to shock, but to honestly send forth the message that yes, all of this really truly did happen, and history must never repeat itself. He also includes how he had an opportunity to have an easy time of it during his early involvement in the war after he saved a man in the desert, but went back to fighting because he felt in his gut it was the right thing to do. This book left me with renewed focus on the importance of the Holocaust and how it is a terrible chapter in our history that should remain undimmed for the ages. Remain so, because it reminds us of how close we are to becoming inhuman and how valuable the lives of others truly are. And it also reminds us that the soldiers who fight for us are very human as well, underneath a hard shell of discipline and courage that allows them to do what they have to. Whatever made this man tell his story - I am grateful for it. Had it gone to the grave with him; what a huge loss for all of us, what an important message gone unsaid. This is a story that will stay with me for a long, long time. Click here to listen to a sample of the book.